Where To Sell Your Used Apple iPad Pro 10.5 64GB WiFi Plus 4G and for how much? 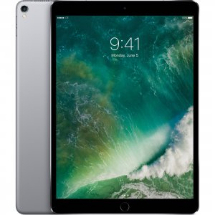 Whether you no longer need your Apple iPad Pro 10.5 64GB WiFi Plus 4G, need some extra cash towards your next holidays or looking for an upgrade when a new Apple mobile phone comes out, you've just got to have it. But upgrading from an older Apple to the latest, most wonderful, and cutting edge model can be an expensive proposition. Depending on the model you prefer, you might be looking at somewhere around £280.00 or even more. But don't despair, you can turn your old Apple iPad Pro 10.5 64GB WiFi Plus 4G in working or non working broken condition into cash that you can spend on the new model or your holidays. There are always sites like eBay or amazon where you can sell this device, but these days things are much faster and easier then listing and risking your device on these bidding platforms. There are many companies based in UK that specialise in trade-ins of brand new, used and even faulty Apple iPad Pro 10.5 64GB WiFi Plus 4G for instant Cash. You can get up to £280.00 for your Apple iPad Pro 10.5 64GB WiFi Plus 4G if you sell it to Music Magpie. There are 3 more recyclers who are paying cash today for Apple iPad Pro 10.5 64GB WiFi Plus 4G. All you need to do it simply visit their website and complete easy to use checkout process to send your device to them in return for cash. According to our experts the cash trade in price for Apple iPad Pro 10.5 64GB WiFi Plus 4G will drop up to £210.00 in the next 14 days as Apple rumours to launch a better and faster device soon. Have a look at some of your options below and choose the most suitable recycler as Each of these companies has different terms for their trades, so be sure to read closely and ask questions before parting with your Apple iPad Pro 10.5 64GB WiFi Plus 4G but this can be a great way to get that new gadget you crave while also paying a bit less for it. musicMagpie.co.uk is the surprisingly quick and easy way to declutter and get cash for your stuff, which is why millions of people use us every year to sell their CDs, DVDs, Games, Books, Blu-Rays & Tech. We take the hassle out of having a clear out and make selling your stuff easy. It’s simple: get an instant price for your items, pop all of your stuff into a box and send it for using our FREE Courier or Send Service!